New details have been revealed on the Norwegian Joy’s first race track at sea. The ship which is currently under construction in Germany shocked the world and brought true many cruisers dreams, a race track at sea! 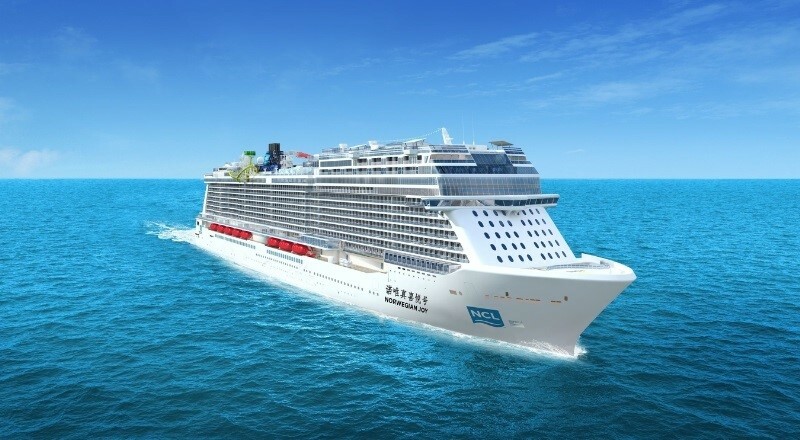 The race track which will be featured on Norwegian Cruise Line’s first purpose-built cruise ship will be like nothing else seen before. 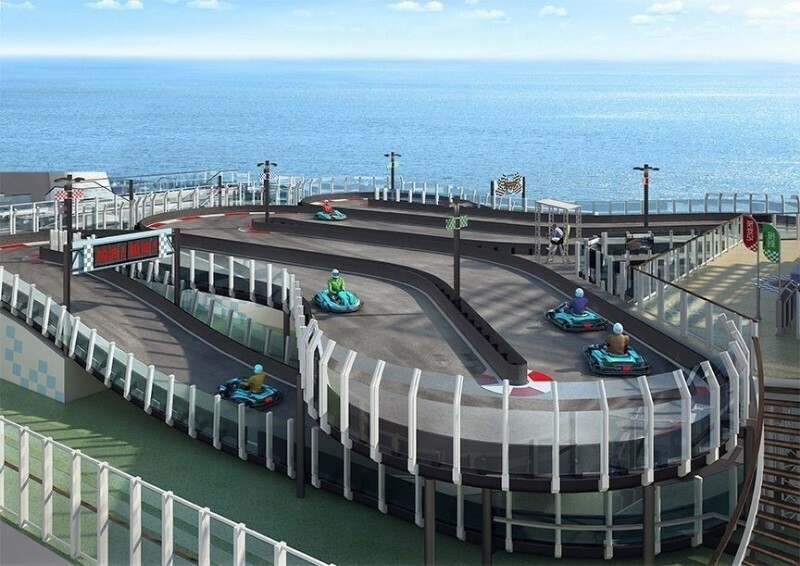 Located on decks 18 and 19 the Go-Kart track will cater to 20 environmentally friendly electric karts. As part of the track facility there will be a viewing platform, covered pit lane, workshop, storage room, timing system, floodlights and a track that reaches 230 meters in length. The race kart track is being developed and built by RiMO Supply, a leader in world rental karts and tracks based in Germany. The race karts will also utilize the latest generation of technology to ensure optimal usage under the unique conditions of intensified UV and saltwater exposure that exist onboard a cruise ship. All karts are being constructed according to the highest international standards and the track’s functionality is equal to any high class land-based karting facility – with the addition of an incredible view at 60m height. The Norwegian Joy will be completed in Summer 2017 by Meyer Werft in Papenburg, Germany. The 168,800 gross ton vessel is also named 喜悦号 (Xǐ Yuè Hào) for the Chinese market. The 3,900 passenger vessel will be based out of Shanghai and Tianjin, China once it enters service. Who’s ready to go racing? We are! Let us know what you think in the comment below.